Madrid International Film Festival (MIFF) has invited 26 Years director CHO Keun-hyun’s upcoming film Late Spring which has been nominated for three awards categories this year. SHIN Yang-joong, who made Love, In Between (2010) and Perfect Number (2012), is nominated for the Best Producer and director CHO Keun-hyun of 26 Years (2012) for the Best Foreign Language Feature Film. In addition, KIM Seo-hyung will compete for The Best Lead Actress in a Foreign Language Film. Previously, Late Spring started with world premiere at the Santa Barbara International Film Festival in January, and won the Best Foreign Feature Award at the Arizona International Festival in April. It was also nominated for eight categories at the Milano International Film Festival in May, recording the most number of nominations. Finally it picked up three awards including the Best Film, the Best Acting Performance Female (LEE You-young) and Best Cinematography awards. Meanwhile MIFF introduces various films in their programming including feature films, short films, documentaries, foreign language films and animations. This year‘s edition will take place from 11st to 19th of next month. 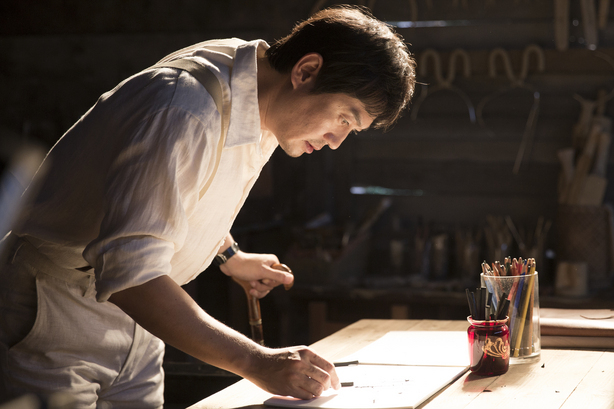 Late Spring is a story about a genius sculptor Joon-gu (PARK Yong-woo), who suffers from a progressive muscular paralysis after the Korean War, along with his wife Jung-soo (KIM Seo-hyung) and a young model Min-kyung (LEE Yoo-young).